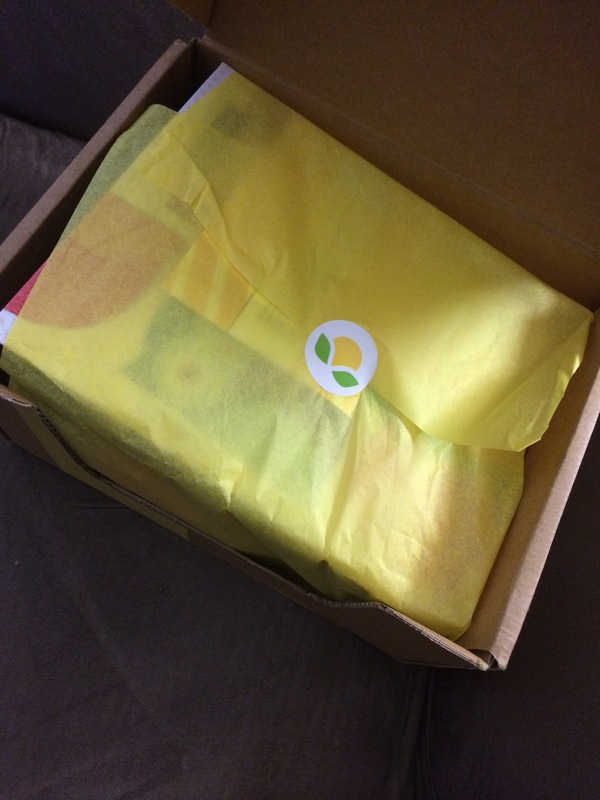 I was so excited to receive our August Citrus Lane box a full week before the estimated date. Bonus points to Citrus Lane for the quick shipment! As always, use my link HERE to receive 50% off your first box! Hello, lovely yellow tissue paper. First up, I see owls! I <3 owls! 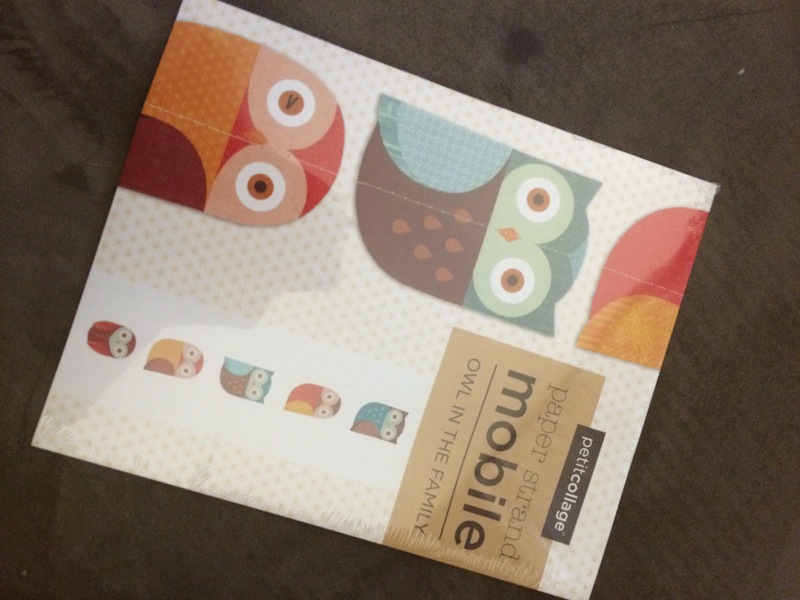 It is a paper strand mobile from petitcollage – Owl in the Family. This is really cute. The colors are really pretty, and we have some other owl themed things in Madeline’s room, so this will be a cute addition. 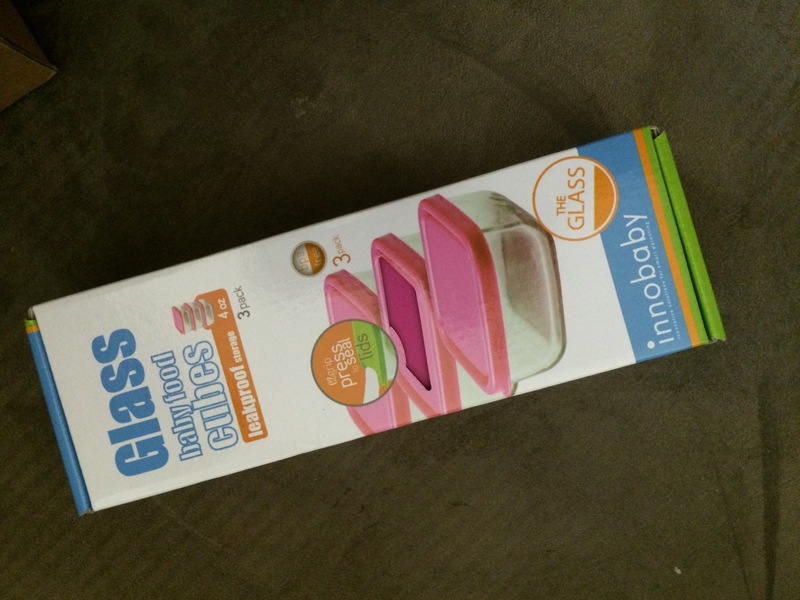 Next, we got a 3 pack of glass baby food cubes from innobaby. 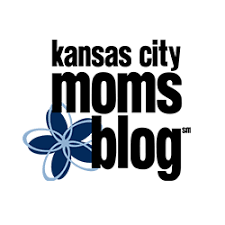 These will definitely come in handy soon as we look at starting solids in the next couple of months. They are small, just the right size for baby food. I love that they are made of glass. 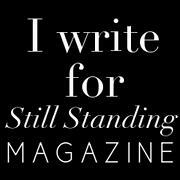 They look to be easy to clean, stack, and store. 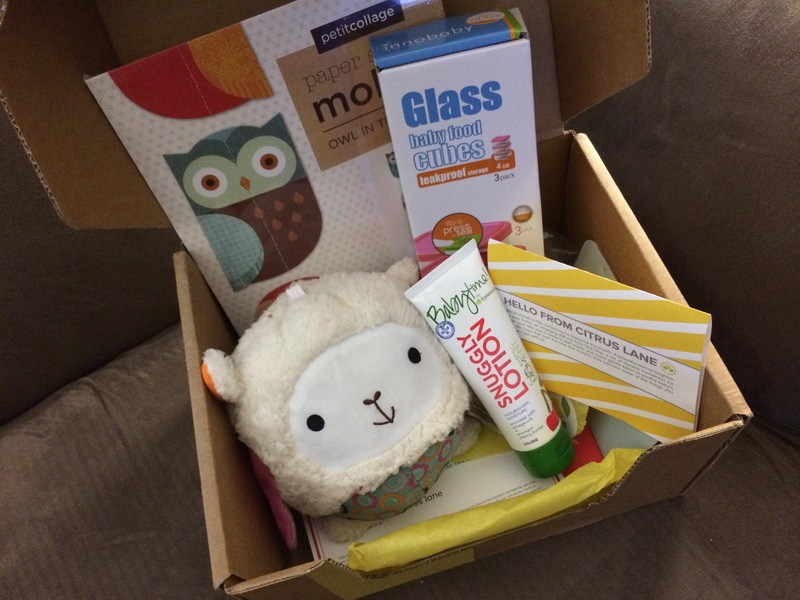 Next, we received a 3.4 ounce tube of Snuggly Lotion from Babytime! by Episencial. It says that is supposed to smell like “cherry butter.” I guess it vaguely smells like cherries, not sure I’m a huge fan of the scent, but it’s not terrible. It is a nice lotion that blends into the skin well and left my hands feeling super soft, so that’s always a plus. It seems to have a lot of organic and naturally derived ingredients, so that is great too. 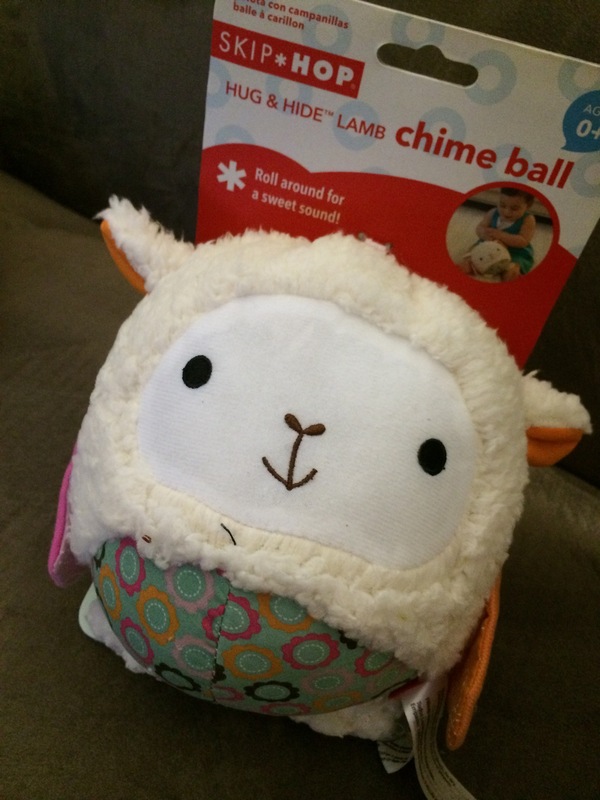 Finally, we have this adorable Hug & Hide Lamb Chime Ball from Skip Hop. This thing is so cute! It’s soft and cuddly and the chime sound is not too loud and obnoxious – which is nice. Very sweet. Overall, I was pleased with this months box. I’m sure everything we received will be used, and that is pretty much the most important thing to me. The value seems to be good too – around $45. Remember you can use this link HERE to receive 50% off your first month’s box!